This is a beautiful wallet! The leather is lovely and soft, very eye catching. I’ve only had it 3 days and have gotten compliments every time I’ve taken it out. I love the red interior as well. There are lots of slots and storage areas as well. The only thing I don’t like,the reason I gave it 4 stars is because the card slots are extremely tight and difficult to put cards in & out. But I’m hoping since it is leather that will loosen up with use & time. I do love it! A classic stylish and durable leather coin purse wallet finished indual tones - Expresso and Tan. Made of vegetable tanned distressedleather and finished with expert workmanship. Includes 11 cardslots, 1 ID window, 2 Slip pockets, 1 zippered compartment, maincompartments and a snap closure. This wallet is everything it claims to be and more. It is stunning. Very happy with my purchase. The colors are rich and the leather is soft to the touch. I was undecided about this purchase but went for it! I was looking for a trifold wallet but this one had the exact smooth leather I was looking for. Very nice product. Very good quality and well built! Love Love Love it!! Very satisfied with the purchase. Although I do wish the zipper and hardware were silver and not gold I am still very good with transaction. 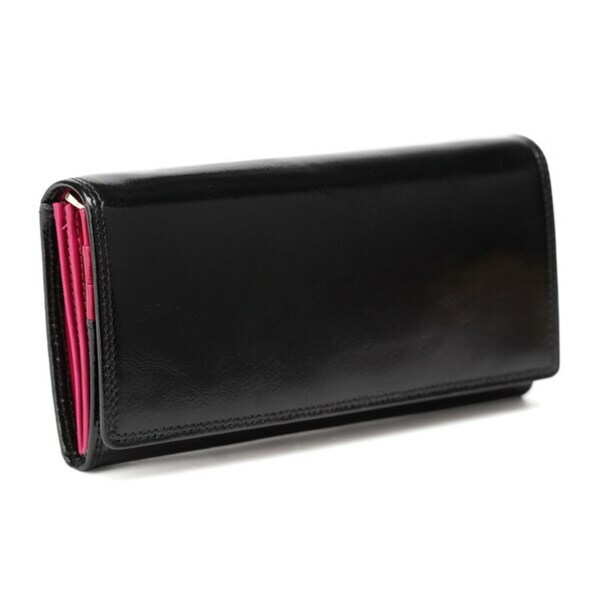 This is very nice leather wallet and good quality. The color was a little lighter than shown in the picture but still very nice. I think it was a good buy for the money. Great little wallet! It's not as roomy as I like wallets to be but I could take this on quick outings! Glad for the purchase! Looks good, nice leather. Great quality! Beautiful wallet. Has a lot of compartments and space. Feels wonderful in my hand. Excellent craftmanship and a beautifull wallet. I was afraid it would be bulky or heavy but instead it is light and buttery soft. Sized perfectly, it holds everything I need it to. I received compliments on it almost daily. The workmanship is top notch, but the slots for credit cards are really tight. Hopefully, they will stretch a little with use. It is beautiful. I think it will last a long time. Top 5 Accessories to Wear with a Suit from Overstock.com. Our guides provide customers with information about the top five accessories to wear with a suit.